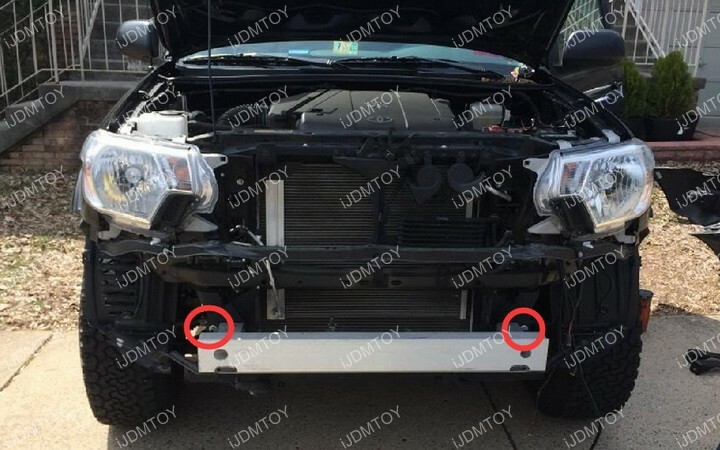 Q: How do I mount this Toyota Tacoma LED Light Bar? A: Before you get started, find the correct mounting holes to secure the LED light bar mounting brackets on. 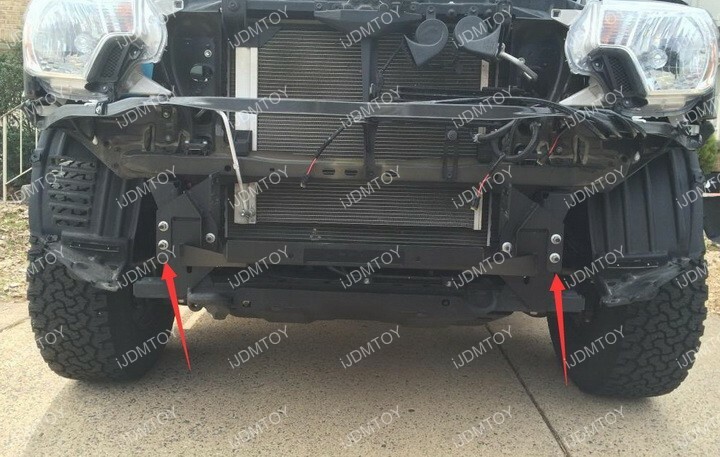 To best see the crash beams, remove the bumper and look at it facing the front side. 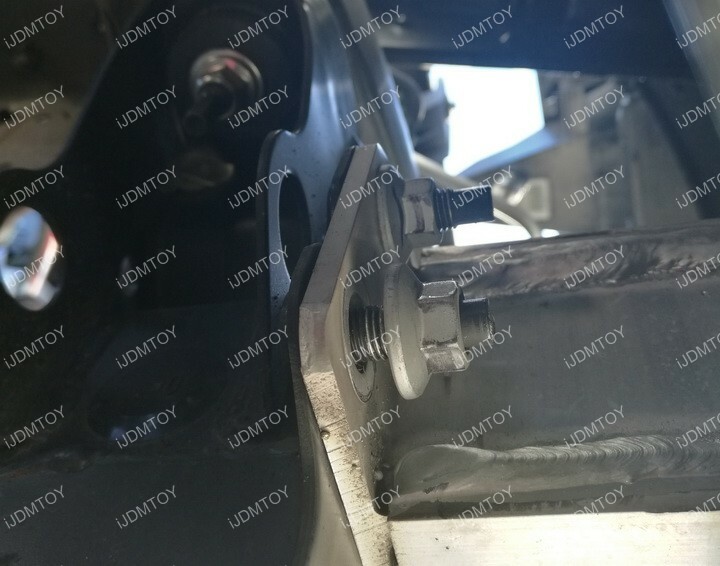 Because you will be installing this onto a 2005-2015 Toyota Tacoma, you will be mounting your metal mounting brackets onto the two outer side mounting locations. 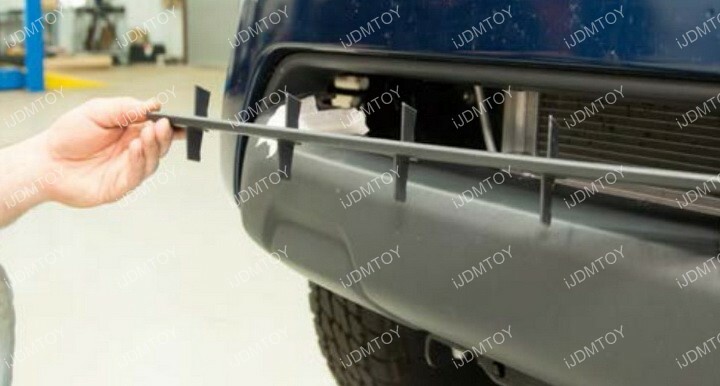 Note: For 2012-2015 models, you may need to cut off the grille trim. 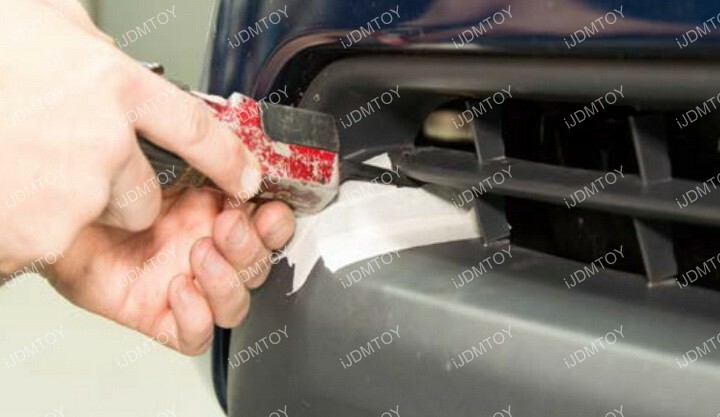 Step 1: Gain access into the bumper. In this installation, the bumper was taken off but you don't necessarily have to remove the bumper if you don't want to. Doing so just allows you to gain more hand space for an easier installation. 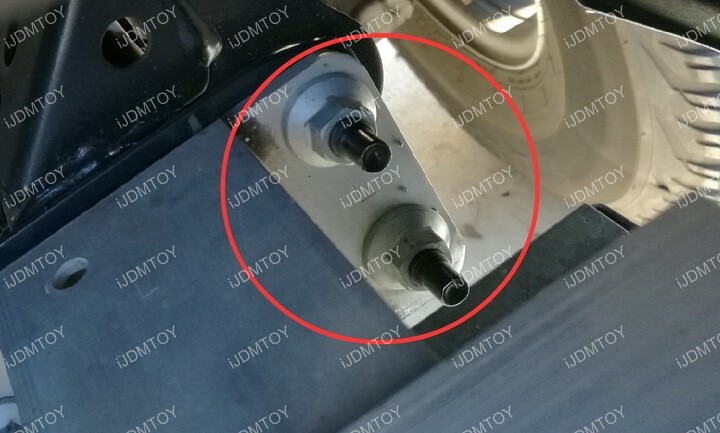 Step 2: You will see two outer screws that are positioned together. Remove the bolts that are covering the screws. Step 3: We are going to focus on the driver's side first. 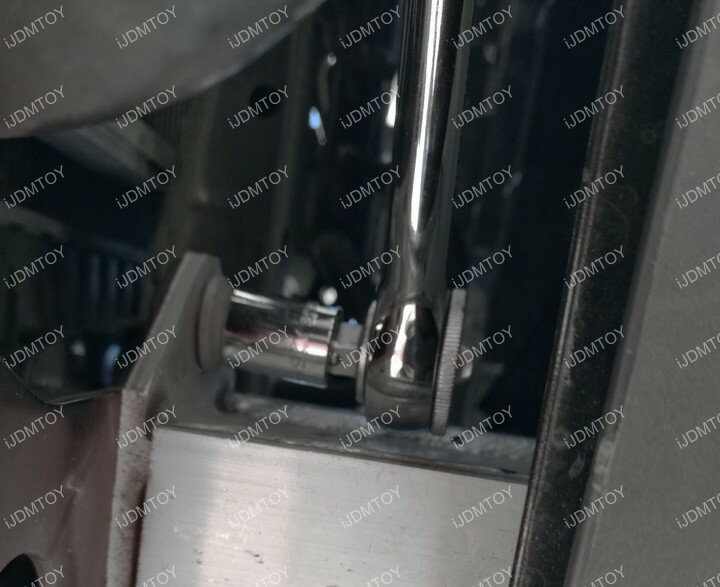 Loosely mount the metal bracket onto the driver's side bracket first to allow yourself some angle adjustment and wiggle room later. 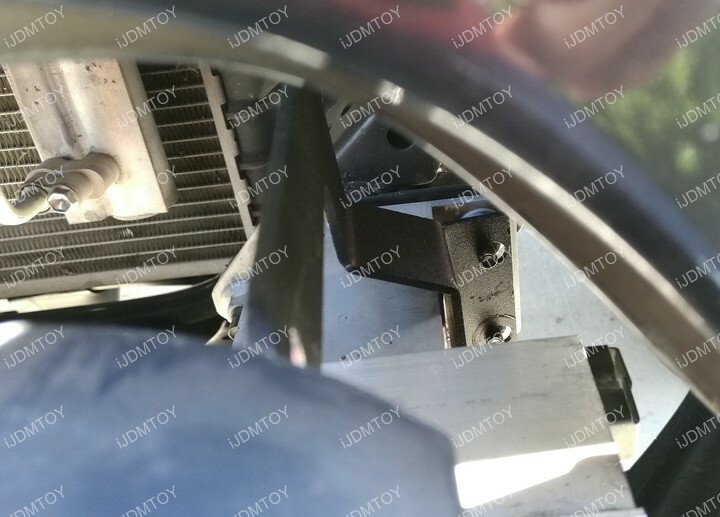 *Important: Make sure you mount one bracket at this time so you have enough space to mount the other side of the assembly. Step 4: Take the LED light bar and insert it into the driver side mounting bracket. 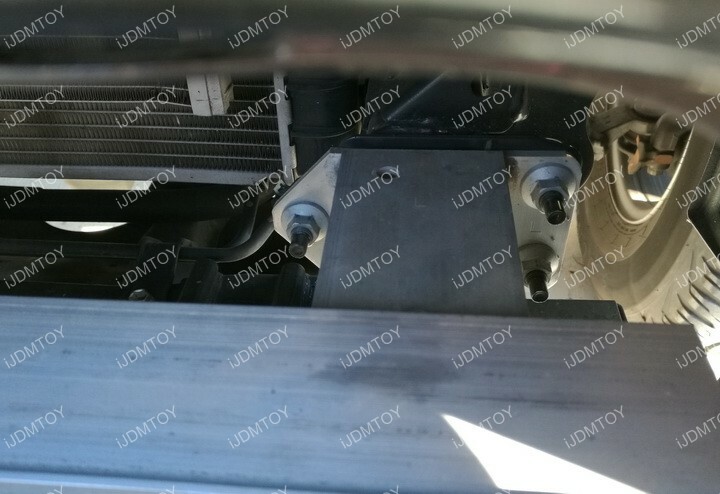 Don't secure the LED light bar and bracket yet, we will be doing that later. Step 5: Now we will turn our attention to passenger side. 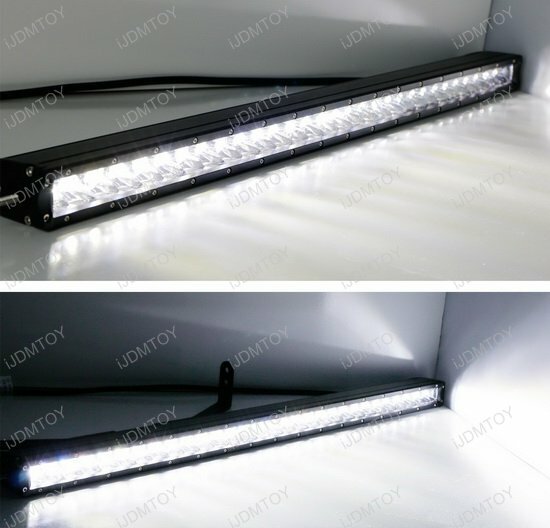 Slip the LED light bar into hole in the long arm of the mounting bracket. 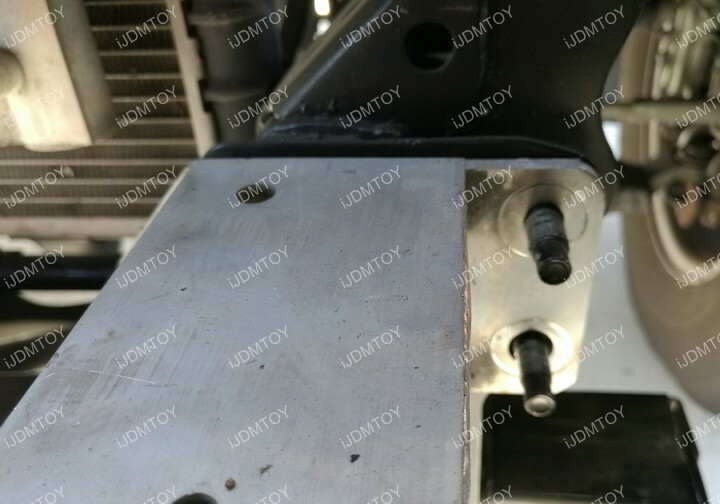 Then bolt the mounting bracket onto the two screws on the end of the crash beam. Step 6: Once you have the LED light bar positioning taken care of, then you can secure the LED light bar onto the mounting brackets. Step 7: Once everything is secured, you may connect the wires to power up the LED light bar. 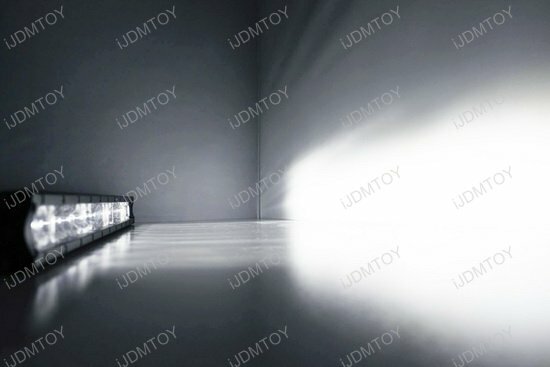 If you have an additional wiring harness with switch, you can check out the Truck LED Lamp Wiring Guide for instructions. Step 8: When wiring is completed, put back all the components you removed in the beginning, like the front grille. 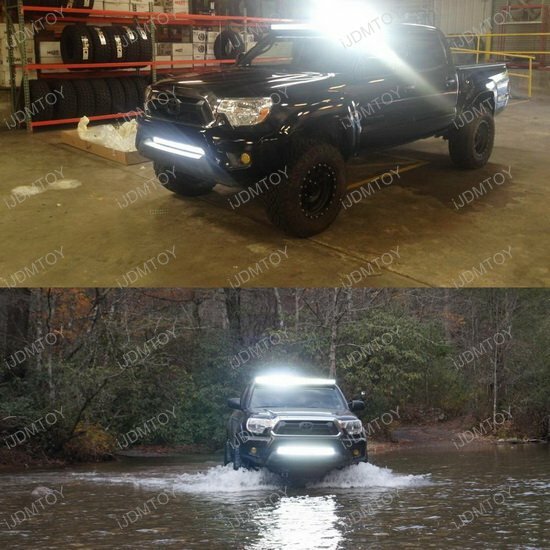 Test to make sure everything works and enjoy your new Toyota Tacoma LED light bar. 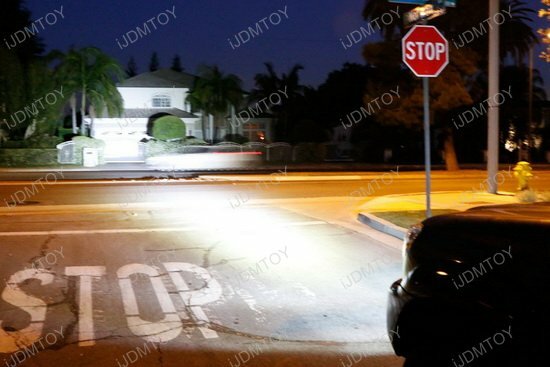 Q: Is there any modification required to install my new Toyota Tacoma LED Light System? 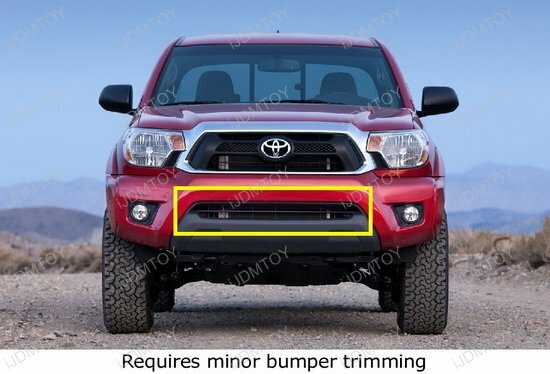 A: There is a slight bumper trimming required for 2012-2015 models in order to mount the Toyota Tacoma LED light bar. 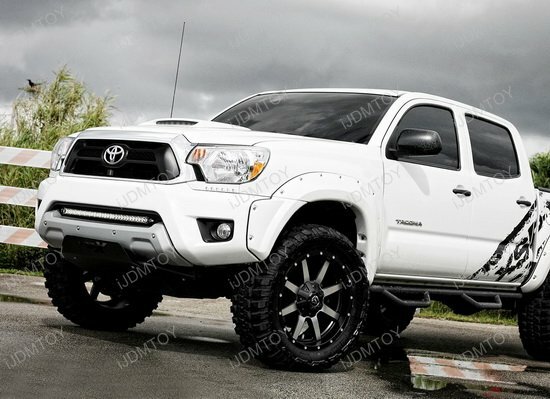 Check out the Toyota Tacoma below to make sure the front end matches your Tacoma's front end. 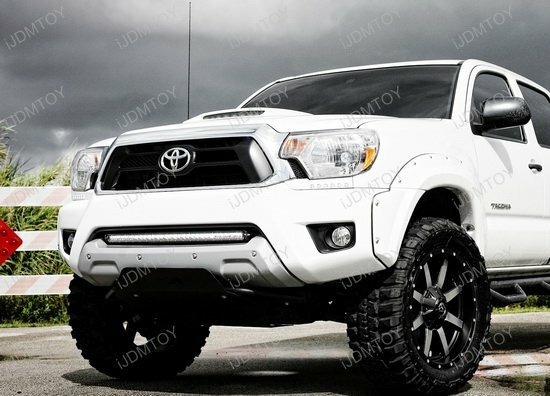 This page features a complete set of 30" lower bumper grill mount high powered LED light bar system combo for the 2005-2015 Toyota Tacoma. 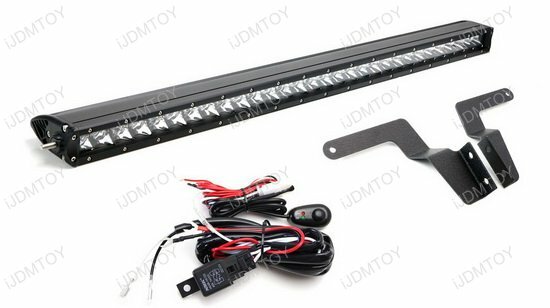 Each kit comes with a piece of of 150W CREE high powered LED light bar with spot beam pattern and a pair of black powder coated full metal lower bumper grille mounting brackets and On/Off switch wiring kit. Note: Slight bumper trimming is required for installation. 5 of 5 Total Reviews: 7 Write a review. Installation was a breeze, the LED light bar came with everything to install on my 2008 Toyota Tacoma, wiring harness, brackets and light bar. I had to cut some of the bottom grill to fit the light , it is very bright and looks great. Anyone can install this, it?€?s simple. 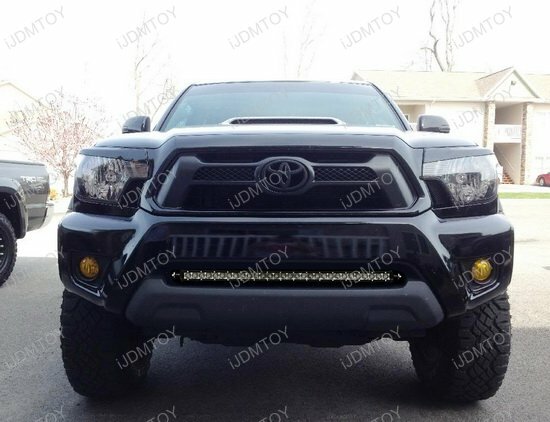 Wow, this thin LED light bar really fit perfect in my 2015 Toyota Tacoma. 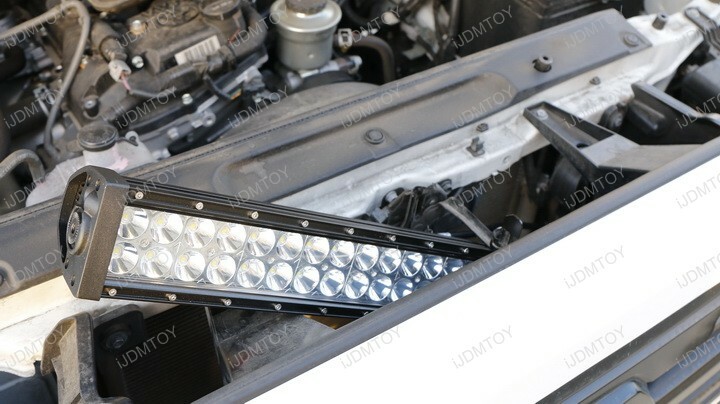 Super bright and easy to installed (recommend removing bumper thou). 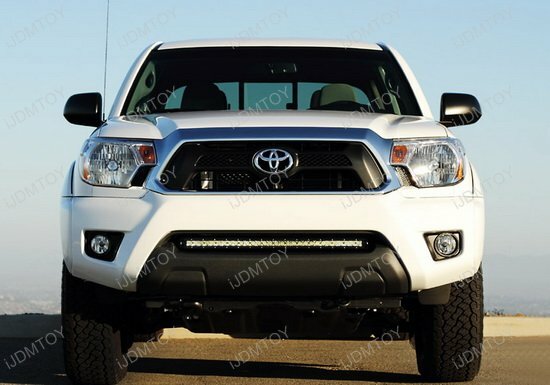 Great kit, the slim LED lightbar fits awesome on my 2015 Toyota Tacoma and is super bright. the LED light bar looks great and works well. 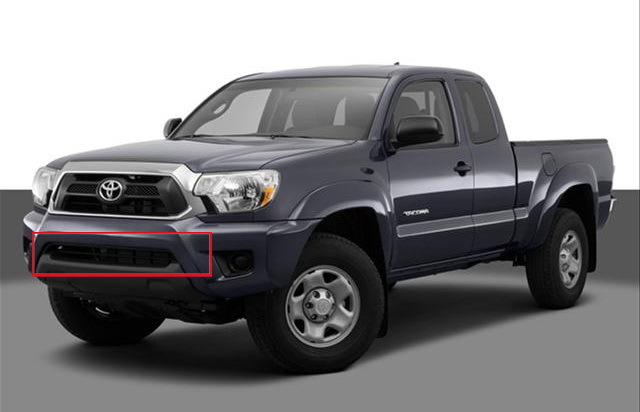 Though I had to cut out a part of the grille with a Dremel for it to fit my 2014 Toyota truck, it wasn't too difficult.